I think most of us have experience this when we’re in coffee shop: we watch people. And our imagination grow. 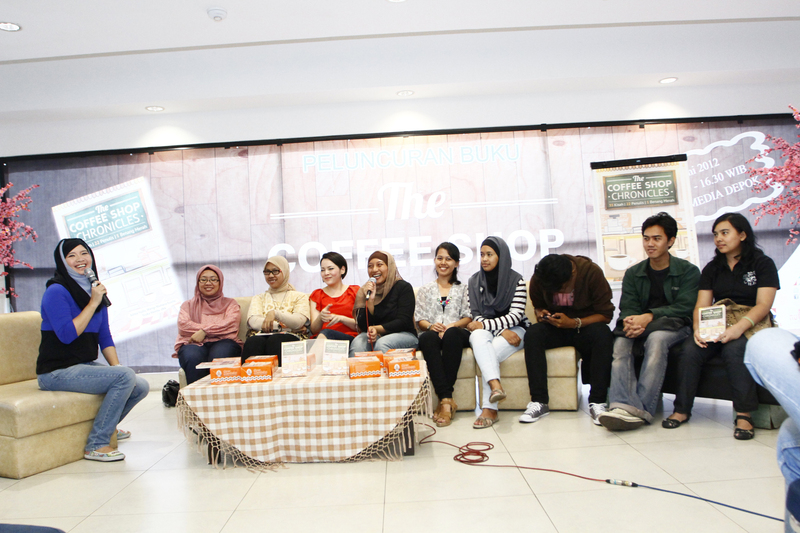 The writers started writing and self published their book at NulisBuku.com @nulisbuku. We at NulisBuku.com see the potential of the book and submit it to major publisher: byPASS. 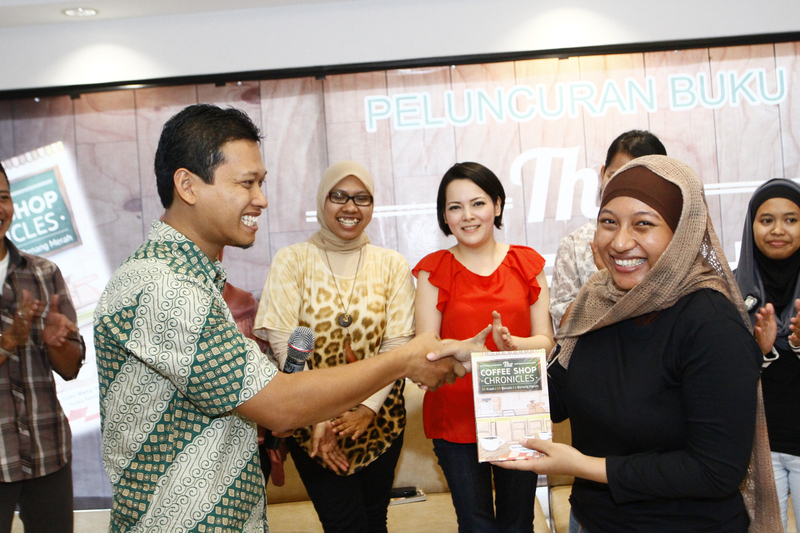 byPASS agreed to publish “The Coffee Shop Chronicles” and on Sunday, June 3rd 2012, the book was officially launched at Gramedia Depok. This is to mark the first book helped to published majorly by NB Literary (Nulis Buku Literary Agency). We expect more books from NulisBuku.com to be published in other major publishers soon! Special thanks for Pak @suripprayugofrom byPASS @buku_larisfor all the good partnership. seneng banget, sekarang jadi lebih mudah untuk emenerbitkan buku.. btw, di bali belum ada ya mba nulis buku club?? I haven’t read their works but, I am sure that I would be able to read those in the future. Congratulation though.